Back cover blurb: The twisty new psychological thriller from the bestselling author of After Anna, Killing Kate and Copycat. Everyone lies…but some lies are deadly. For Claire Daniels, life is good. She has everything she’s ever wanted – a career she loves, friends she can rely on and a husband who dotes on her. All she needs is to start a family of her own and things will be even better than good. They’ll be perfect. For Alfie, it couldn’t be more different. His life with Claire is built on a lie. A lot of lies. And she can never find out. Because Alfie has plans for her. Plans which must never come to light. But lies have a way of taking on a life of their own, and when his do, the consequences threaten to destroy everything. For him and Claire. Claire Daniels has everything she wants. A loving husband, a fantastic career, great friends and family. All she needs to complete her perfect life is a baby. Alfie Daniels’ life is a world away from his wife Claire’s. True. He has everything that a man could possibly want. A beautiful wife, a lovely home..
Expect that he doesn’t... want it. Any of it. Alfie hates his life, it is all built on lies. An ex jobbing musician, who fell only for his wife’s wealth, Alfie is desperate to end his marriage in any way that he can, without losing everything. After all, he’s worked hard to get where he is. Alfie thinks that he has it all worked out, the perfect plan to fix all of his problems and allow him to start enjoying his life again. As with most things in Alfie’s life, this plan is dependant on a little stretching of the truth. The problem with lies is, that they complicate everything, and very often take on a life of their own, and signal the beginning of the end. 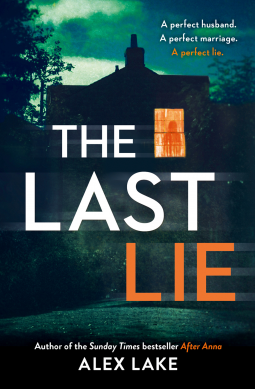 The Last Lie is a novel that will probably leave you infuriated at and cheering on both of its main protagonists at some point, whilst wanting to pull your hair out and shout at them... a great read. The Last Lie is available now via Amazon online and all good book shops.